Dr. David Wagner is the founder of Wagner ENT. He completed his medical residency and general surgery residency at the University of Washington, Seattle and his Otolaryngology residence at the University of Kansas Medical Center. He furthered his training with a Fellowship at the University of Iowa Hospitals and Clinics (Otolaryngology – Head and Neck Oncology and Reconstructive Surgery) and is one of northwest Iowa’s only fellowship trained Otolaryngologists. 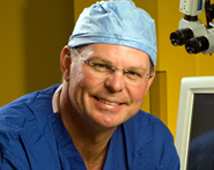 Dr. Wagner is certified by the American Board of Otolaryngology and has earned the distinction as a Fellow of the American College of Surgeons.